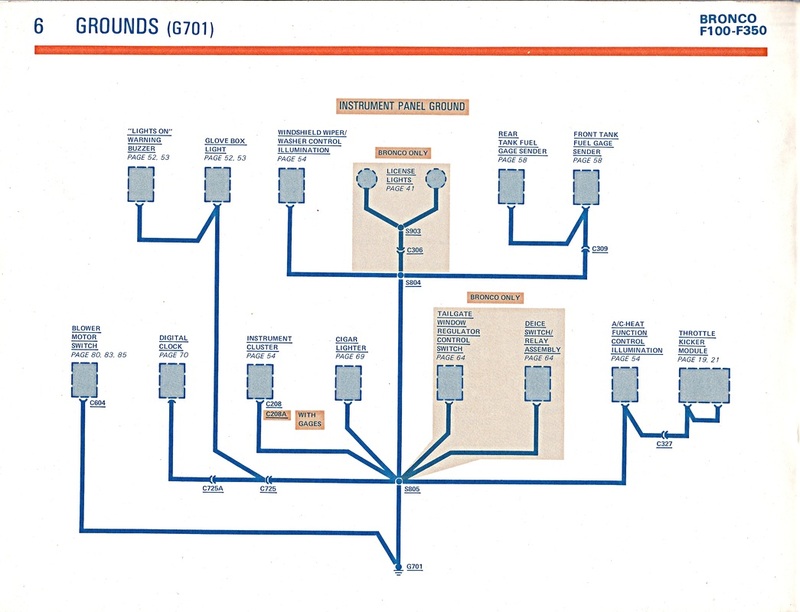 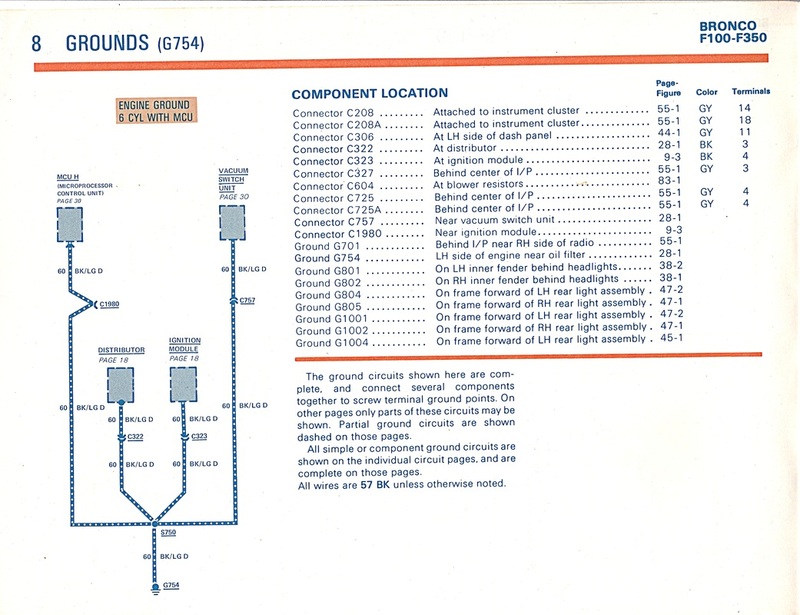 Page 6: All systems using Ground 701. 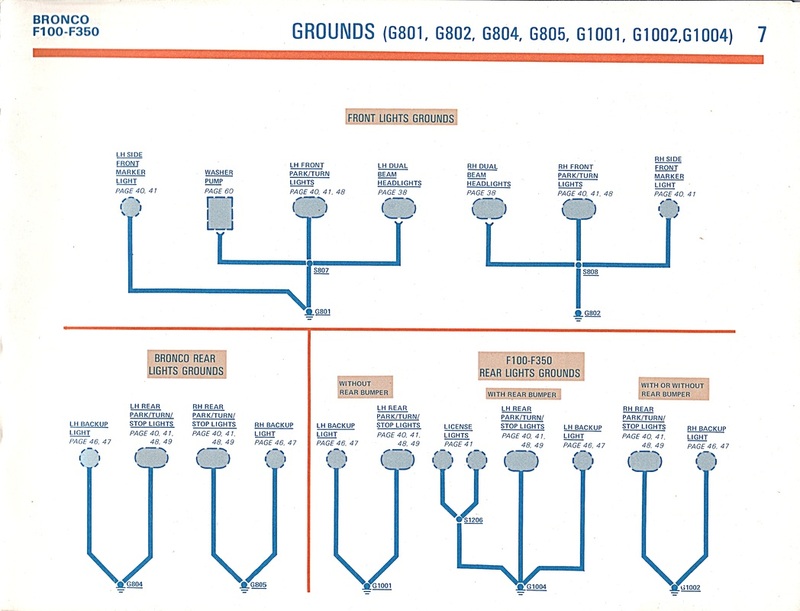 Yes, basically everything in the dash, save for the radio, all use the same ground, and if it is bad weird things will happen on those circuits. 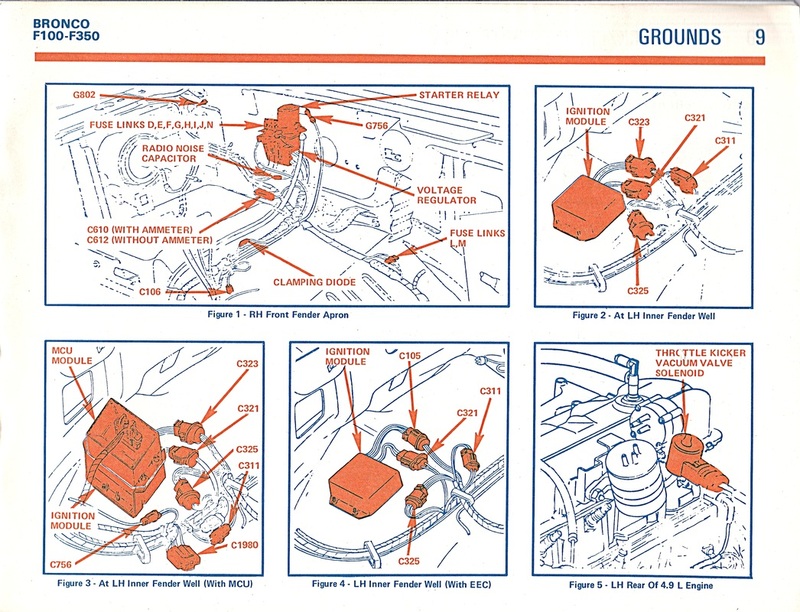 Note that high-current devices like the cigar lighter use the same ground as the gauges.